In 2015, the City of West Palm Beach awarded Navarro Lowrey the opportunity to redevelop one of the most coveted sites in Downtown West Palm Beach. 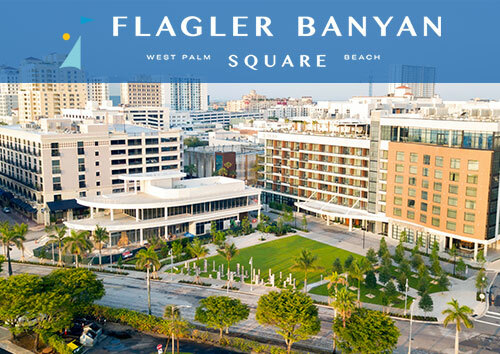 The Company is excited to redevelop the 3.5 acre property now known as Flagler Banyan Square. It will include 435,000 square feet of new construction consisting of a 208-room Marriott Autograph Collection Hotel; 251 luxury apartments; a signature restaurant; 20,234 square feet of retail space and a 483-car central parking garage. Construction is underway and is scheduled to be completed in Fall 2019.